This is after an Arby`s employee decided not to serve a Pembroke Pines uniformed female police officer her order, because she was a police officer. 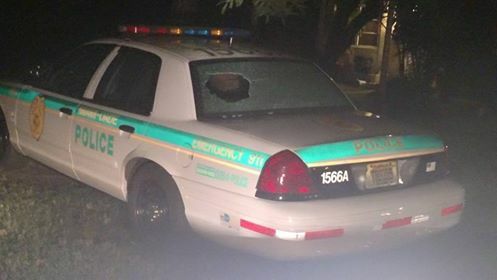 If you have any information regarding the vandalization of a police cruiser in Miami Springs, please contact the Miami Springs Police Department at 305.888.9711. EDITORIAL COMMENTARY: This has got to stop. Most police officers, the vast majority, are good hard working people. These are husbands and wives. Mothers and fathers. Risking their lives every day by just doing their job. Their jobs are difficult enough dealing with the normal variety of violence. Now, it seems as if this country has turned upside down. Some are publicly calling for violence against police. This is crazy and insane. 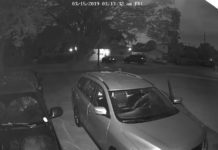 Further, the recent incident in Pembroke Pines and the vandalized Miami-Dade Police Car in Miami Springs proves that this problem is not some faraway problem, but a problem right here in our own neighborhoods. We cannot and will not accept violence towards our police. 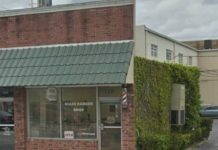 Drive through Miami Springs and you see many different police cruisers from different agencies. Why? Because they love to call the quiet neighborhood of Miami Springs home. You see cops from Doral, VG, Medley, Hialeah, Coral Gables, Miami, Miami-Dade, and many other agencies who call Miami Springs home. These are our neighbors and we need to look out after them. Yes. WE, the residents, need to look after our cops. 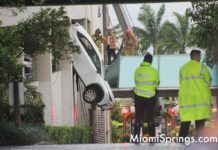 I know we`re used to having them look after us, but in this upside down world, it`s time we, the residents of Miami Springs, take a stand against this madness, and watch out for our police. Let`s make sure we look out for the suspicious characters looking at a police cruiser. Call the police, no matter if it`s politically incorrect, if you think someone looks suspicious. The police in our community, whether they work or live here, should feel safe. They should feel like the entire community has got their back. Will you stand with your neighbors to pay extra special attention to our police officers? It`s Labor Day Weekend. This is a great weekend to thank any of the many police officers that will be working around the clock to make sure we`re safe. Take the time this weekend to thank them for their service and let them know we appreciate what they do for us. They need our support…now more than ever.